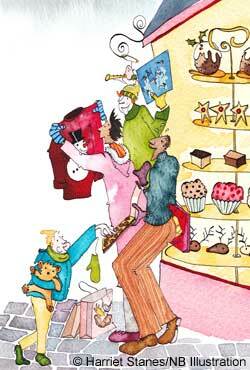 Christmas: Rock around the shops! Download a fantastic audio poster of the Christmas song ‘Rock Around the Shops’ and a Words on Screen® download — great to use in an assembly! Plus, you can download the lyrics and score sheet , too. i would like songs for every xmas !!!!!!!!!!!!!!! its a fake song but i love it oh yeah!uh huh.